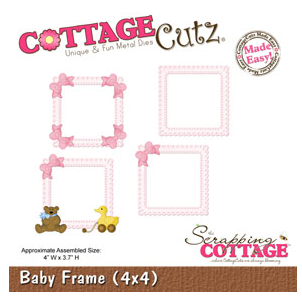 and CottageCutz Baby Frame (4x4). created the svg file for the lever card. The base was cut with Cricut. Ranger distress ink Vintage Photo. 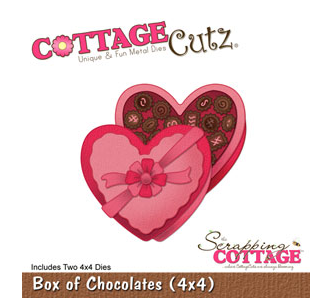 These chocolates look yummy, don't they... :). I am really happy with the final result. Hope you like it too... :). 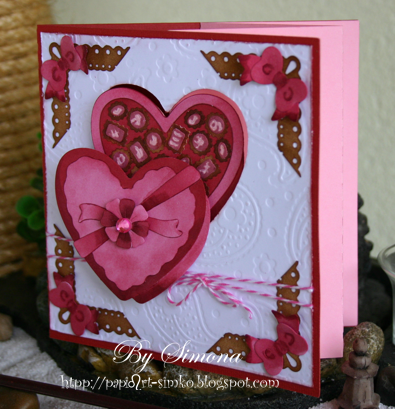 SUPER CUTE and very creative Simona!!! 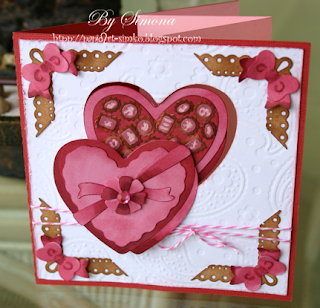 I love how you used the baby frame for the corner brackets, that is a creative was to use the frame in another way!! LOVE it!!! 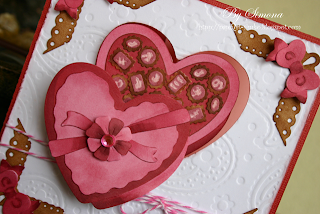 Also LOVE the box of chocolates, super sweet and your card is beautiful!!! Oh my goodness Simona this is awesome. I love how you used the Baby Frame. What a clever and creative idea. Showing how you can get more out of your dies is wonderful. Love this. It really looks yummy. And I also like how you used baby frame for the corners, really clever idea. Beautiful card. Very clever card! 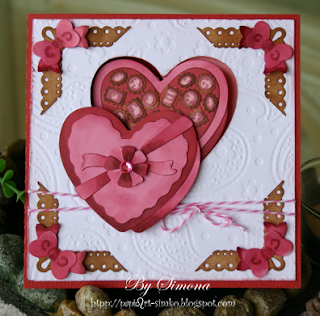 I love your box of chocolates and mixing it up with that frame is perfection!